Hopes across North America are similar—that the winter thaw is closer than spring, which begins in 30 days as of this writing. If hopes develop into meteorological realities, harness racing features are just around the calendar’s corner. Meanwhile, we have been thriving regardless of the frigid foes, with enough harness racing across the continent to keep our TwinSpires accounts locked and loaded. 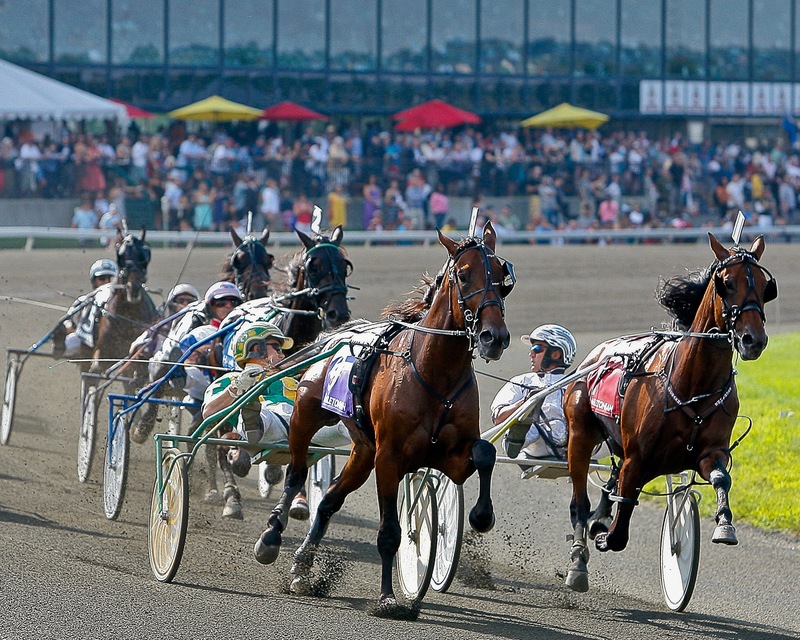 With the cancellation of the first feature series, the Presidential at the Meadowlands, we continue to focus on the most competitive overnight races at many tracks. One of our features, however, is the $25,000 Miss Valentine Final from Fraser, featuring British Columbia-bred four-year-old mare pacers, arguably the best in the provice. Again this week we analyze specific overnight events with great profit-producing probabilities and we swing at similar common events with less explanation in our highly successful horses-to-watch (H2W) list. Wins, places, shows and exactas abound. We have added harness racing’s newest track, Miama Valley, in Ohio. Please note that horses from our featured overnight events the week before appear on the H2W list as second-time members if they did not win when we highlighted their previous race. While Stonebridge Lyric tries for his third straight and an entry of Keith Clark pacers return from scrathes, Red Star Tyson sits cold and perhaps able to allow the aforementioned to beat themselves and finally get a winning trip. “Red” draws the inside and has shown his speed at this level two back, though he was hampered by an early duel. Here he can find a ground-saving spot and use a single brush to wreak some havoc as the undisputed outside contender. Keep The Dream is the morning-line (ML) choice of mares in the Miss Valentine Final, armed with top Canadian breeding (Mach Three) and local favorite trainer-driver Bill Davis. But does she deserve the status, coming off of two Open losses and unable to topple Call Me Up in this and better company? There is no doubt a challenge will be presented from Yanotherhos, who, in contrast to Call Me Up, has done near as well as Keep The Dream. Her race coming into this affair is a very sharp show finish at an under-rated 11-1; she dueled to the lead before getting caught late by two tough gals. As a key she will work in exactas with the top choice and a trifecta could explode by adding Nazko Tribute, who can be forgiven for last week’s failure and be as hot as she raced the pair before that—at quite a price. Occasionally Bad can be a spoiler in this group, meeting each of these foes for the first time. The elder Badlands Hanover mare has finished well in two of her last three and will be dismissed by the crowd for the obvious trio with shorter MLs. One of them, RD Elegant Yankee, may also be an overlay here and stands a chance of robbing the pace from Shaving Mug, the one that may be bet to smithereens. JR’s Midnight Cry screams for support after a bum trip from post 8. His Feb. 9 mile was strong and challenging as he finished second while wide for two calls. Just before the year turned over, the pacer was strong at this level and being bet far more than we expect the crowd to support him here. Certainly Suits from the inside is going to be hammered in the win pool but the sophomore may be facing too much experience to be trusted at low odds, while the other ML choice, Steady Pulse, has excuses but remains vulnerable enough to go against.